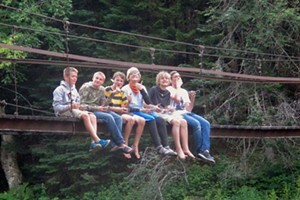 A Chihuahua Bonds With Children | Bookworms | Kids VT - small people, big ideas! 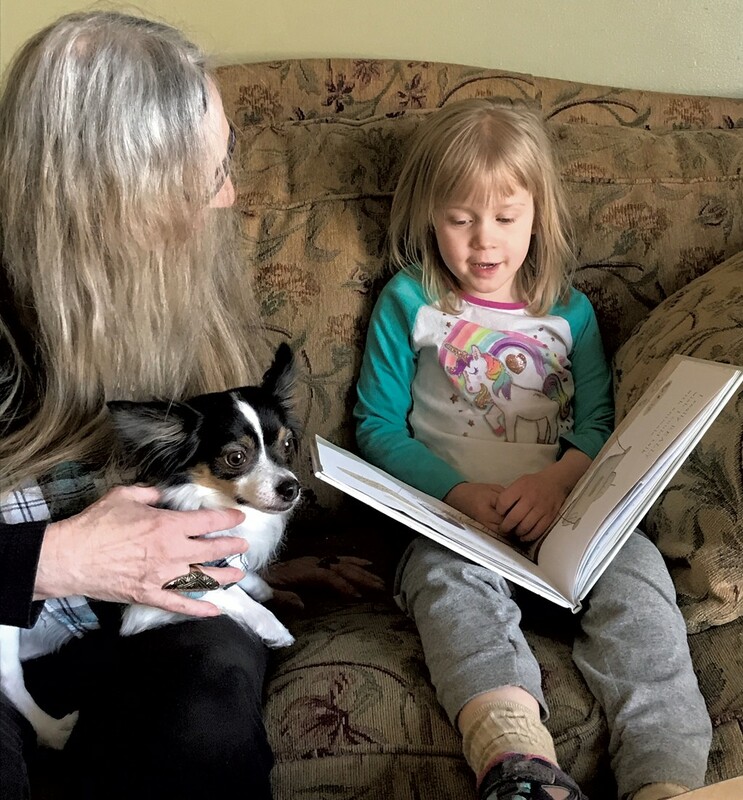 On a breezy April morning, Gail Peck sits down on a comfortable couch at Little One's University in Essex with a 5-year-old girl, a picture book and Superhero — a tiny black-and-white Chihuahua with enormous ears. Tucked beneath the girl's arm is a stuffed horse. "When I was little, I loved horses so much, I thought I could grow up and become a beautiful black horse," Peck tells the girl. Fortunately for the 80 kids at this childcare center and preschool, Peck became an early education teacher instead. After 40 years of teaching, the mother of three grown children now works a shorter early-morning shift at Little One's University to help ease the transition from home to school for the earliest arrivals. Two years ago, Peck decided to adopt a service dog to help with her medical needs. She enlisted the kids at the childcare center to help her choose a pup and asked the center's owner if she could bring the dog with her to school. "It's really good for children to have animals, be responsible and take care of them," she explains. When the Texas-born rescue dog arrived in Vermont, the puppy's first stop was Little One's University. As the kids and teachers settle into the day's routine, Peck and Hero, as the dog is called for short, settle into a quiet corner of the entry area and spend one-on-one time with kids. 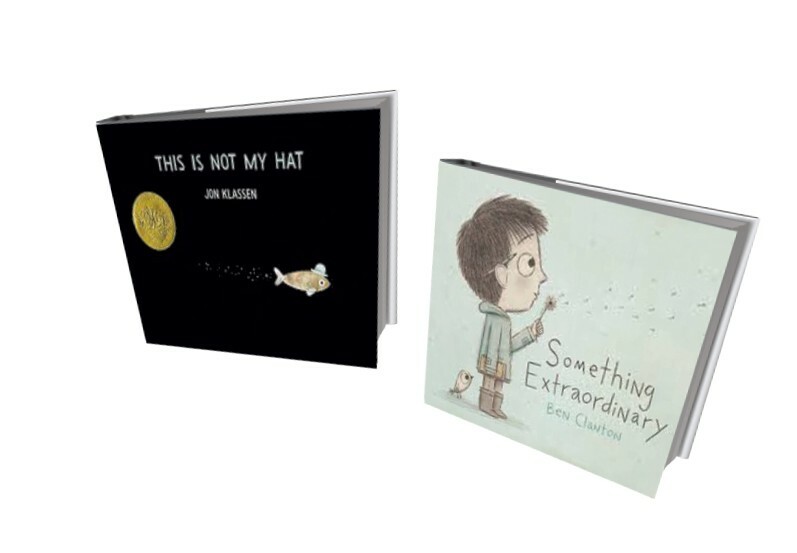 A boy gives Hero a sausage treat, and they sit close together as Peck reads Jon Klassen's This Is Not My Hat. The next visitor, a young girl, is so familiar with her book choice — Something Extraordinary by Ben Clanton — that she recites the story confidently from memory while turning the pages. Peck rewards the children with both encouragement and a journal and pen. "Next time around," she says, "maybe you can read a story you wrote to Hero." Peck says she would love to see other schools offer the simple and centering activity of reading with dogs. Acknowledging how much Hero has given to her personally, she notes how children's struggles touch her heart. A dog, she says, "can help make the bad times better."